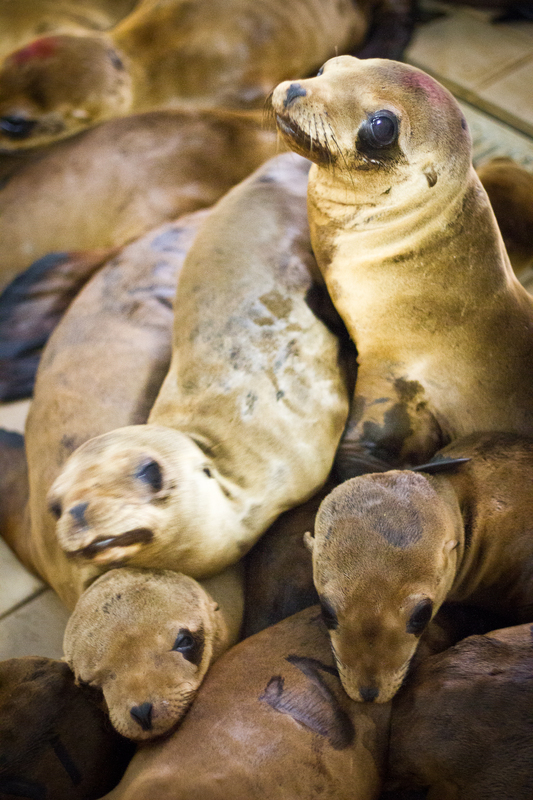 A batch of sea lion pups crowd one of the rooms at the Pacific Marine Mammal Center after a feeding. Since the strandings began, this small facility has rescued more than 300 of the more than 1,300 starving sea lion pups. Researchers think the pups may have weaned early, and are not accessing sardines and anchovies they would normally feed on. The reason for the fish disappearance is, as yet, a mystery.